My Edelweiss post is actually my second attempt to write a Petticoats and Pipe Wrenches snippet. The first was too wordy and took too long to get to dice-rolling. 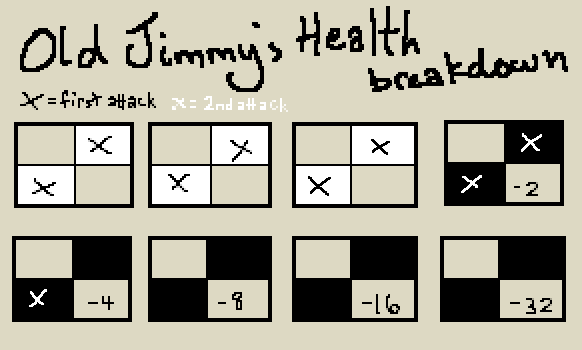 I managed to find a better rhythm this time, as well as figuring out the game mechanics. Next time I’ll take more detailed notes, but it’s still fresh in my mind, so I can point out sections and explain how the system works. It’s not quite an explanation of how Airship Pirates works, but here and there that will come up. It would probably make more sense to people who know how to play, but I tried to at least translate jargon instead of using more or less fluent AP cant. The first point in the story where I decided to bring the dice into play was when Edelweiss attempted to lull the enemy captain into a false sense of security. With the idea of being a GM, I asked her for an Act + Presence roll of an Easy difficulty. I chose Easy because the captain was already predisposed to think of her as defenceless, and she was basically supporting that belief. Easy rolls add 5 dice to the pool. With her 3 points of Act and 3 in Presence, this gave her a dice pool of 11. She rolled four successes, which I used to justify the purple prose attached to her way of speaking. Then, on a lark, I decided that that many successes warranted a skillcheck for the captain to prevent an attack of stupid. I used the NPC stat-making system to give him Mental 1 in a Difficult roll. Difficult rolls add 3 black dice, which would cancel any of his successes should the black dice roll any successes. He rolled one success, with two successes on the black dice. This constitutes a “foul failure”, which occurs any time there are more successes on the black dice than on the white dice. The meaning of the term is pretty obvious, and I hope I illustrated the outcome of his roll sufficiently. Checking her teeth indeed. By this time, I was having a lot of fun with the dice, and I wanted to see how much of the story-telling I could just give over to chance and numbers. When Edelweiss chose to bite him, I asked for an Average Strength roll. Average difficulty does not add white or black dice. Edelweiss’s strength is 3, as she is supposed to be a robot built for fighting. But she didn’t score any successes, and so I wrote the miss. Thrimble’s NPC stats could have allowed him to make an Average Dodge roll, but I decided against it because he shouldn’t have been able to see it coming, thanks to her great performance and his own foul failure to spot it as such. Up to this point, I had not done any straight, by-the-book combat rolls. Combat in AP is duel-based, so they would have to both be attacking and aware of the situation’s status as a fight. I had to fudge it a little to have Edelweiss make a move not strictly combative, while Thrimble tried to hit her. I still rolled initiative, which Edelweiss won, but rolled a skill check for her, and a combat check for Thrimble. She rolled Average Athletics + Dexterity to steal his cutlass, and he rolled Physical + Fisticuffs (also Average) to hit her. I probably should have given her a penalty for the ropes, but she only rolled two successes anyway, so I just wrote them in as a result of the minor success. Thrimble rolled a couple of successes as well. It took me a little while to figure out how to roll damage, because of the duel system, but eventually he rolled one damage. However, Edelweiss is equipped with an armoured corset, which gives her 2 points of damage resistance. I gave her the action of drawing the cutlass as a free action to bring them to a proper combat. At this point, I had been writing and rolling for a while, and I had to do a little housework before the day got away from me. So I considered what each of them would do next. I knew I didn’t want Edelweiss to kill Thrimble, so I decided that if she could hit him for two dice of health, he would give in. When I went back and rolled my first proper combat, I got some fun surprises. Edelweiss won initiative again, which, in proper combat, means that she is the one who gets to deal damage. Both declare their actions after initiative–in a session, Edelweiss would say, “I want to attack him with the stolen cutlass,” and Thrimble would say, “I’m going to punch her”–and then roll whatever combat skill the player is using plus Dexterity. The combat + Dex roll is the one that determines who does damage. In this case, Thrimble’s Physical + Fisticuffs gave him a measly one success, while Edelweiss’s Swordplay+ Dex got her four. Therefore, according to his intention, he got into a fighting stance, but she struck before he could get a hit in. The four successes means that she accomplished the move with some flair, so more purple prose. When she rolled for damage, I had to get up and get more dice. I started playing with six each of white and black dice. Whenever a roll required seven dice, I just rolled a non-success again. But for Edelweiss’s stolen cutlass slash, I needed 7 for the cutlass, and 3 for her Strength, because it’s a melee weapon. She ended up doing 5 damage. I realised later that I had actually only used 9 dice rather than 10, but things turned out perfectly with the 9. I had thought to have Thrimble concede after a prolonged drubbing, possibly dealing out some damage of his own, but the dice characterised Edelweiss exactly as I would have done without the game mechanics. She dominated the fight from start to finish, and with his 6 total health points, five brought Thrimble scared to his knees. Rewarding experience is something I have been thinking about since I realised she might need to dodge. Without any points in that skill, she seems incomplete as a machine built to fight. So I decided to reward her just one point of experience (it sounds stingy, but points are spent to increase skills) because I didn’t intend to reward any for this encounter. I think I’ll also give her two fate points, because she did get an awesome near-lethal attack in. In the encounter, she realised the importance of dodging, and so she will use her experience point to increase her Dodge skill to 1. Tomorrow, I want to spend time with mums, but I’ll try to find some time to write or plan the next encounter.